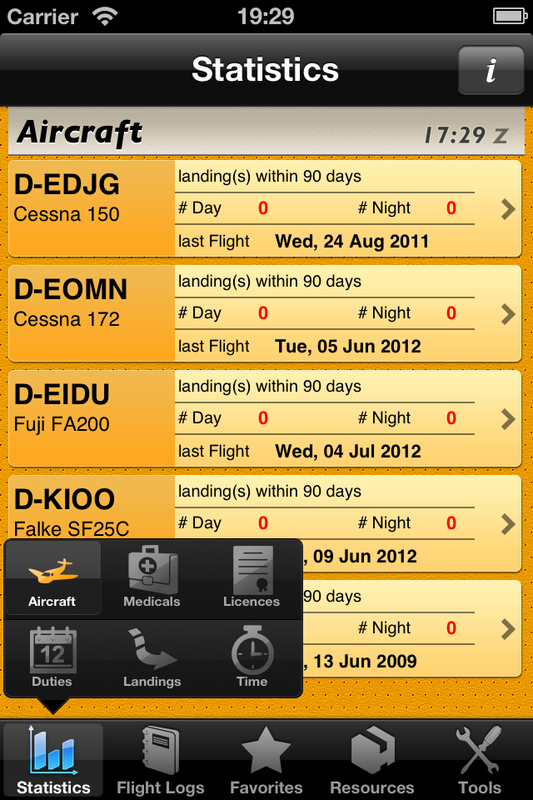 Pilot’s Log is a flightlog software for iPad/iPhone and iPod touch (requires iOS 6.x). 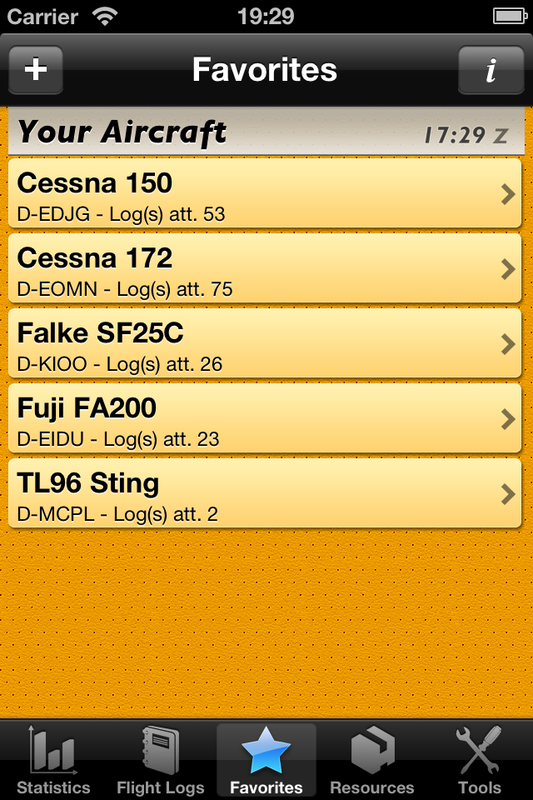 Includes per flightlog configurable entries. 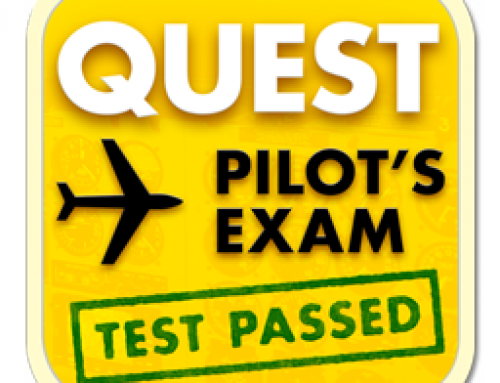 Add entries for gliders start type/IFR/Approaches and more. Shows statistics summary and details per aircraft. 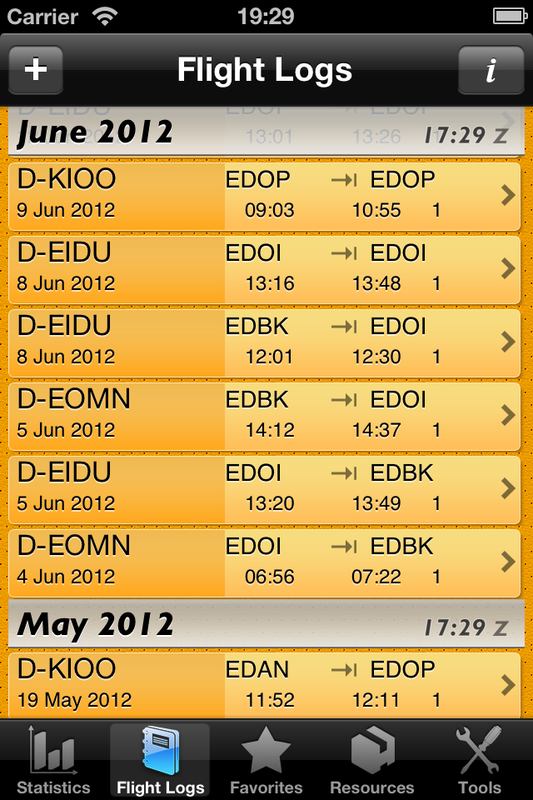 See your licence, medical due dates, per aircraft configurable summary. 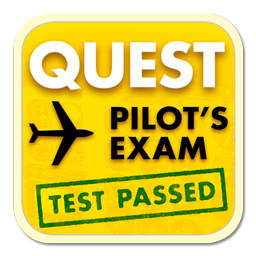 Contains larger airport database (+30.000 entries), pick your licence/rating from more than 500 aircraft ratings. See all the tools ((sunrise/sunset, time calculations.